Soccer for Success is hiring! 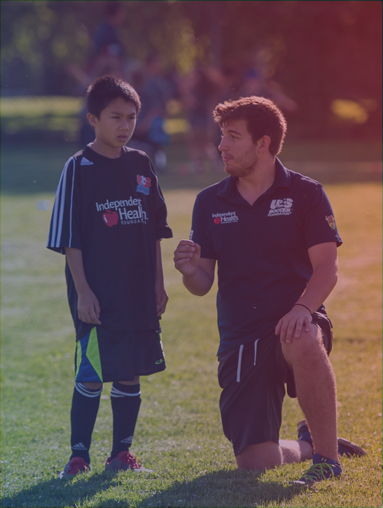 Help use soccer as a tool to combat childhood obesity. Promote healthy lifestyles for children in under-resourced communities. All Soccer for Success staff are hired directly through Algonquin Sports. Must be 18+ to be a head and/or assistant coach. Staff will need to be able to legally work in the United States in order to be a paid staff member. 2 seasons within the school year during the after-school time frame. 3 days a week for 60-90 minutes. Start and end time will vary depending on school. Practice from April-June and July-September. 3 days a week for 90 minutes at various parks throughout Westner New York. Think you're ready? Apply today! 3 days a week, 1.5 – 3 hours/day, outdoor sites typically run 6:30-8:00pm, indoors run immediately afterschool. Training is included. No prior soccer experience required.